Tomoe River Paper isn’t for ink/paper/pen newbies. It can be difficult to deal with – it’s super-thin, wrinkles easily, needs to be stored carefully, and wrinkles easily (worth mentioning twice). It’s expensive, ghosts like a sonofagun, and wrinkles easily (that’s three). The above swabs were done as one of my earliest experience with Tomoe River Paper. I did these (as I do all of my swabs) with a cotton swab saturated with the ink and the “scrubbed” onto the paper. Even though the paper is super-duper thin (and wrinkles easily) , there was zero bleed-through. None. 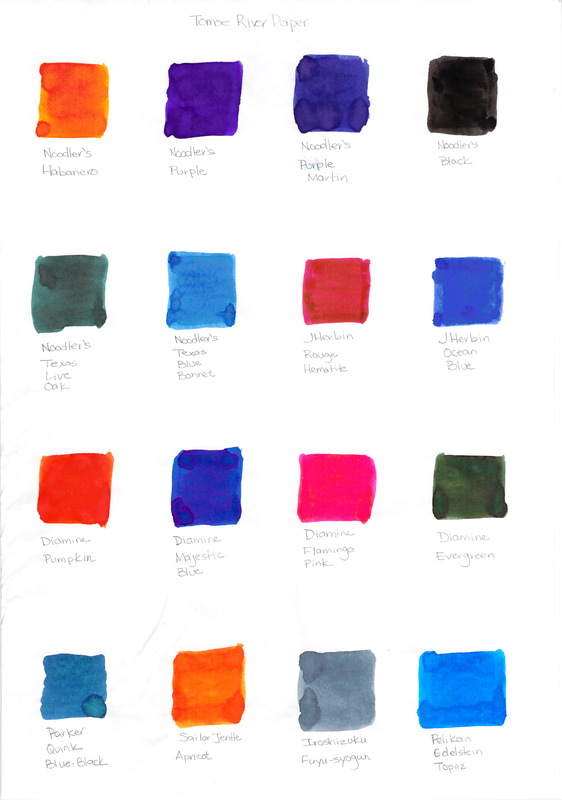 The colors just…pop!…from this paper. 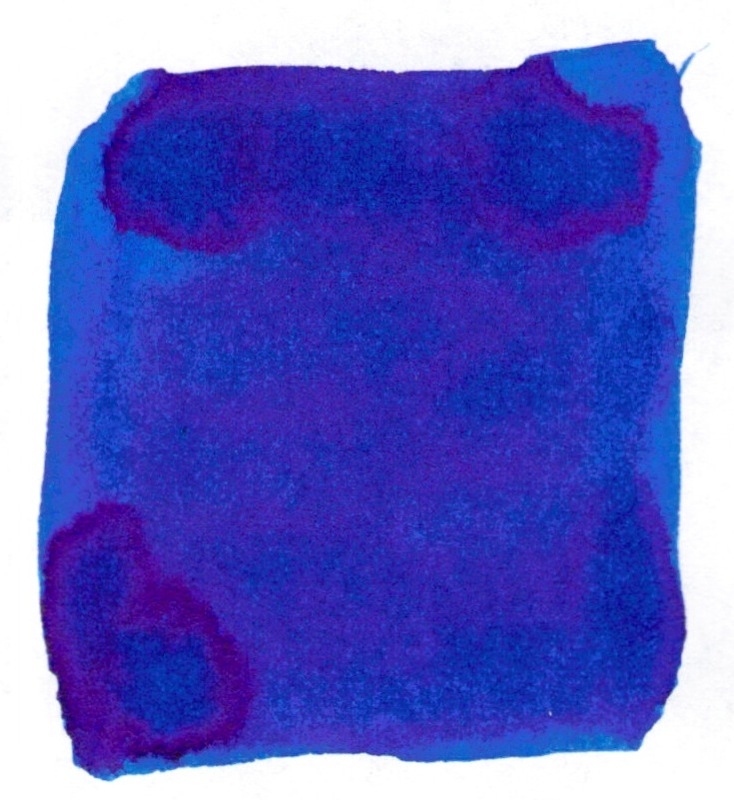 This is the way the ink manufacturers must mean for their inks to be experienced. Here’s a link to the full-size image. It’s big. It’s worth the load time. So. 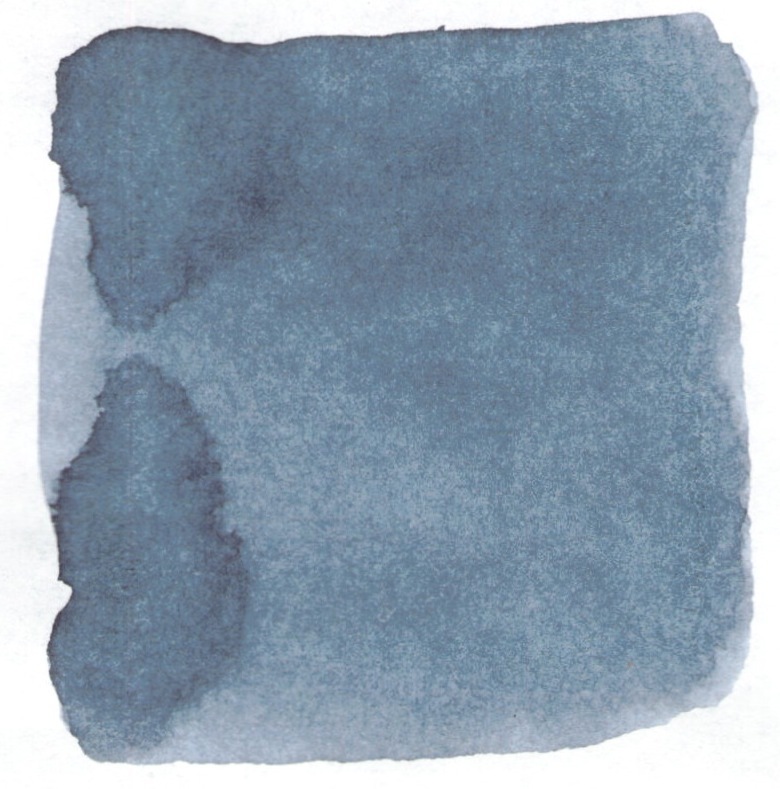 If you’re in love with paper and inks and pens and such – Tomoe River Paper is a must try. It’s definitely not an everyday paper for me (wrinkles easily, you know), but wow. Wow. Have you tried Tomoe River Paper? What other papers do you love? This entry was posted in INKS, LOVE, PAPER and tagged tomoe river paper by Christine (Pentulant). Bookmark the permalink. I have not tried that paper. I'd be happy to find some lovely, not-too-expensive, lined letter writing paper that is fountain pen friendly. Does it even exist? But back to your question – there must be other fountain pen safe lined writing papers – I'll need to hunt them down and do a post about them!